From one Frontierland to another, Halloween Time at Disneyland takes on a festive shape outside Big Thunder Mountain Railroad at Disneyland Park in Anaheim. 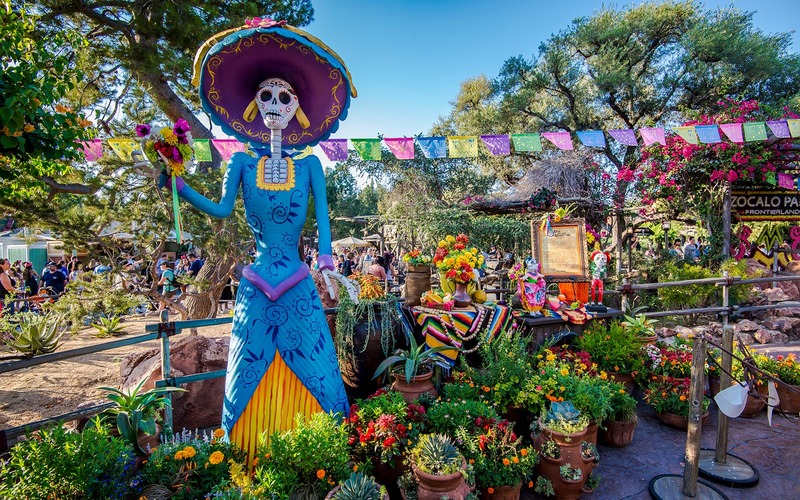 The Dia de los Muertos display showcases the culture and decorations of Mexico's "Day of the Dead" holiday and also provides a vibrant exhibit bursting with color. 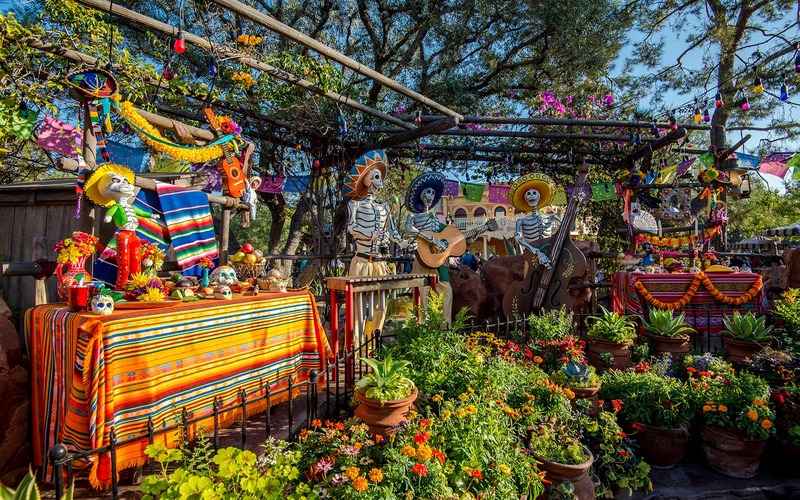 El Dia de los Muertos is commonly associated as a Mexican Halloween, but it's more of a [non-military] Memorial Day, if anything. It's a day to remember one's departed family and ancestors, and it's a celebration of their life as much as it is a macabre ceremony associated with death. 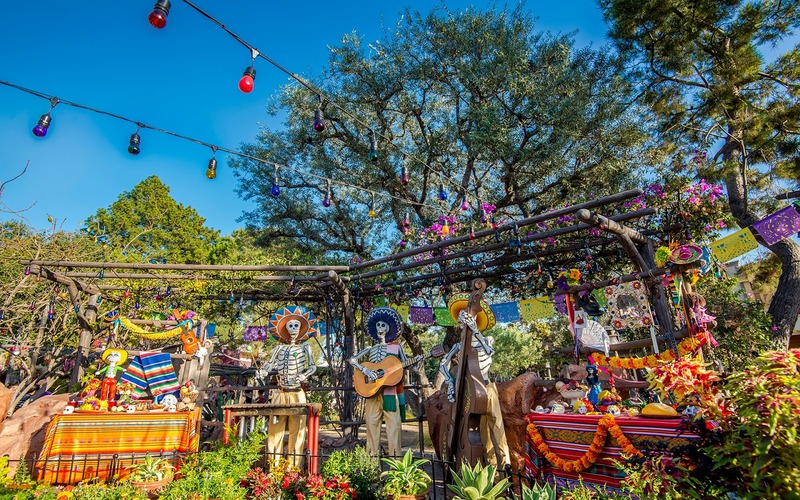 The Dia de los Muertos display is an annual tradition at Zocalo Park. The figures and food settings are representative of what is offered to dead relatives in Mexico. It's quite a nice, colorful affair!